What are Common Causes of Elbow Joint Pain? Tennis elbow is a condition resulting from the overuse of the wrist and forearm. The most common causes of elbow pain are from overuse. If an elbow joint is painful for more than a few days, a professional diagnosis may be needed. The elbow joint. Pain can be caused by damage to the tendons, ligaments, or other parts of the joint. The most common causes of elbow joint pain generally result from overuse. These conditions include tennis and golfer's elbow, bursitis, cubital and radial tunnel syndromes, and tendinitis. In most cases, these injuries are a result of athletic activity, although any repetitive movement can cause joint pain. A fracture to one of the elbow bones can also occur during a direct impact and cause considerable pain. Tennis elbow is one of the most common causes of elbow joint pain. It is an overuse injury, i.e., a result of repetitive actions which put strain on the elbow. This condition causes pain on the outside of the joint and can also make it difficult to hold objects. Despite the name, tennis elbow can be caused by a variety of different activities and not just tennis. Golfer's elbow is a similar cause of elbow joint pain, but the discomfort occurs on the inside of the joint. Bursitis is another frequent cause of elbow joint pain. 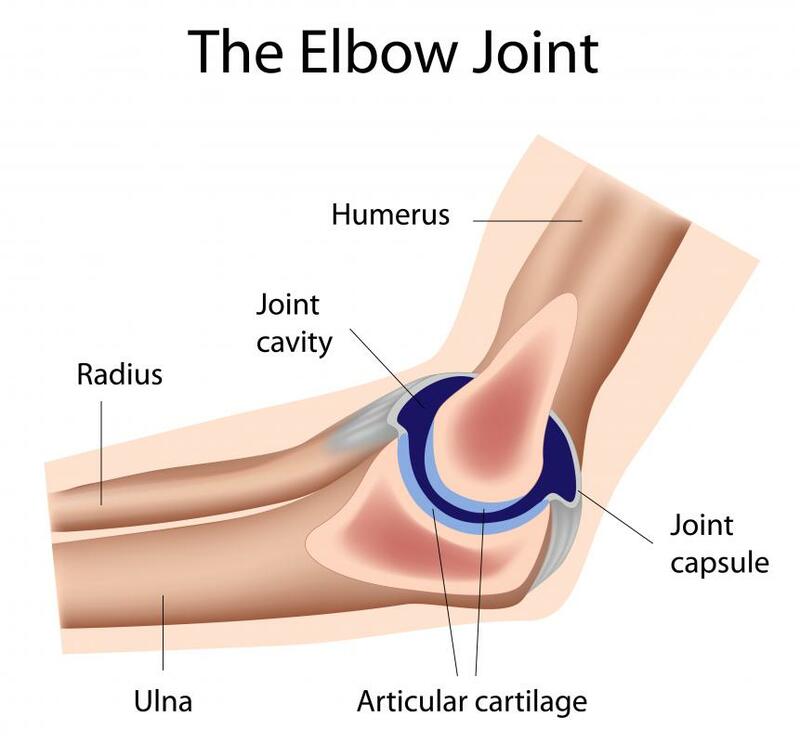 The elbow bursa helps to lubricate the joint and allows it to move smoothly. When a bursa becomes inflamed, either due to an overuse injury or direct impact, the joint can rub against the tissue and cause pain. Symptoms of olecranon bursitis, the type that most commonly occurs in the elbow, include swelling and pain behind the joint. There are two kinds of “tunnel” syndromes which occur in the elbow. These are cubital and radial tunnel syndromes, although radial tunnel syndrome is much less common. Painful tunnel conditions occur when a nerve in the body becomes compressed. 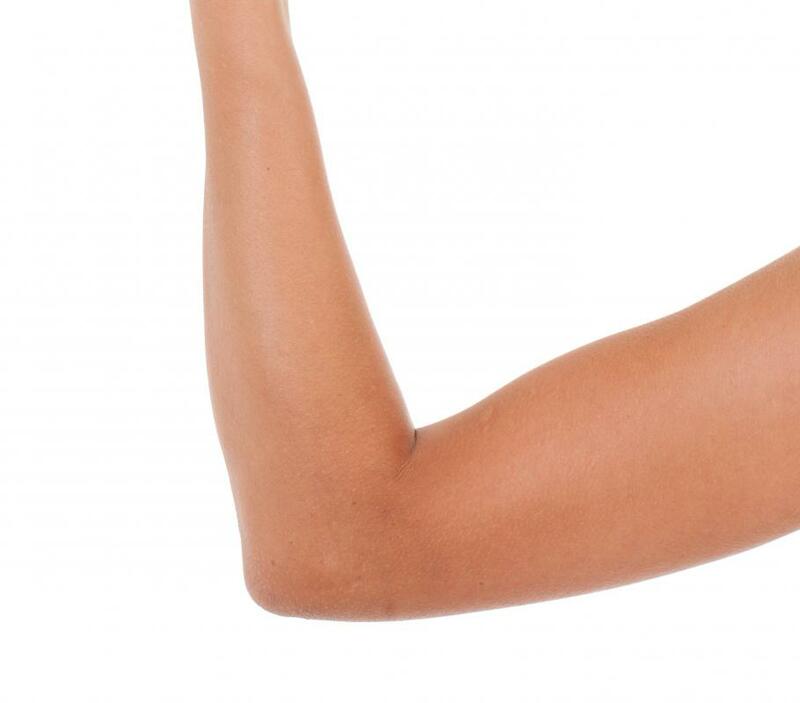 Cubital tunnel syndrome is often caused by prolonged periods with the elbow bent such as during sleep. Conservative treatment is usually successful, although in some cases surgery may be required to reduce pressure on the nerve. Tendinitis is a painful and difficult-to-treat condition that often affects the elbow joint. The biceps and triceps tendons can both become inflamed, often as a result of repetitive strain during athletic activity. Diagnosing this cause of elbow joint pain can be difficult; there are a number of other potential problems. Some of the symptoms of tendinitis include pain that reoccurs during athletic activity, tenderness when the tendon is palpated, and a worsening of symptoms when the tendon is put under strain. There are several other potential causes of elbow joint pain. A fracture to the elbow, for example, can occur during a strong impact. If the joint is painful for more than a few days, it’s important to get a professional diagnosis because the different causes require specific treatments. What are the Best Ways to Cope with Tennis Elbow Pain? How do I Choose the Best Elbow Pain Relief? What are the Most Common Causes of Inner Elbow Pain? What are the Different Types of Elbow Pain Cure? What are the Most Common Causes of Elbow Nerve Pain? What are the Most Common Causes of Elbow Pain While Weight Lifting?